Nothing says summer quite like British strawberries, they’re a real treat to eat – fat, plump and always so sweet and juicy – by far the best strawberries! 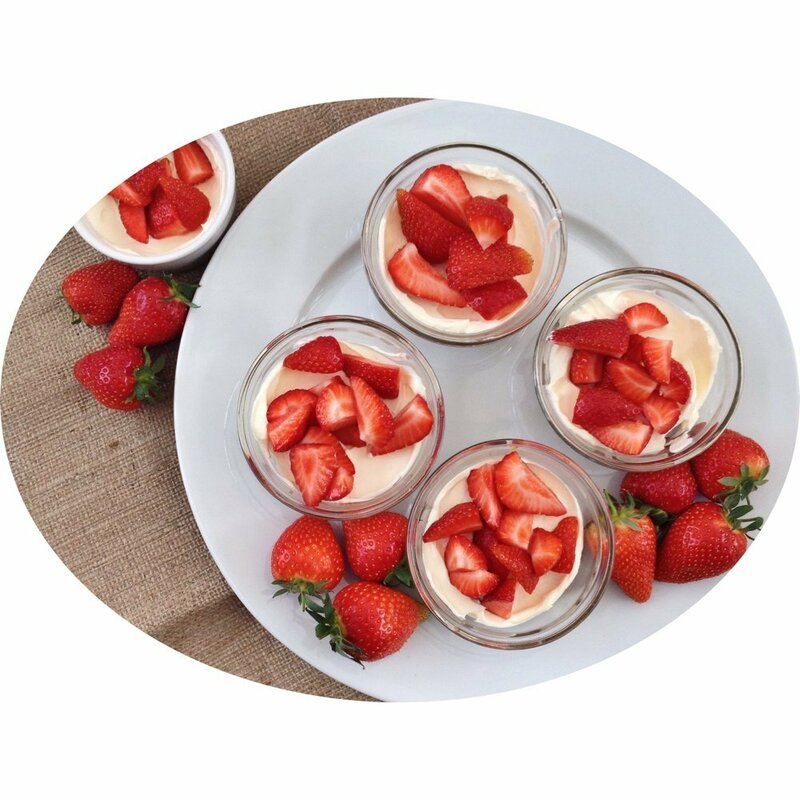 Our delicious and easy fresh strawberry cheesecakes are quick and simple and taste heavenly. 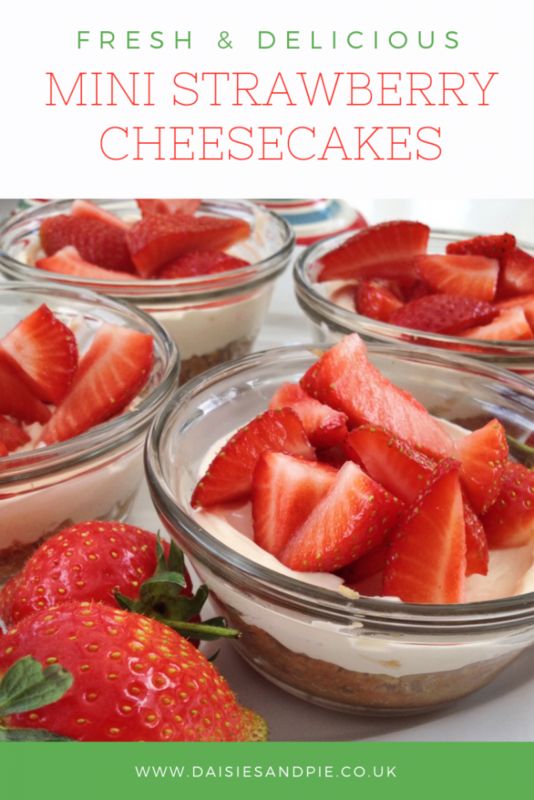 Delicious, quick and easy fresh strawberry cheesecakes. Melt the butter in a saucepan over a low heat. Whilst the butter is melting - bash the biscuits into crumbs - this is a job kids particularly like helping with! Tip the biscuit crumbs into the butter and stir well to coat them all. Divide the buttery crumbs between all the dishes and press down firmly - leaving a flat surface. Pop these in the fridge for an hour to cool down properly before adding the topping. To mix the topping tip the Philadelphia and double cream into a blender with the icing sugar and mix until stiff. Divide the mixture between the dishes and flatten. 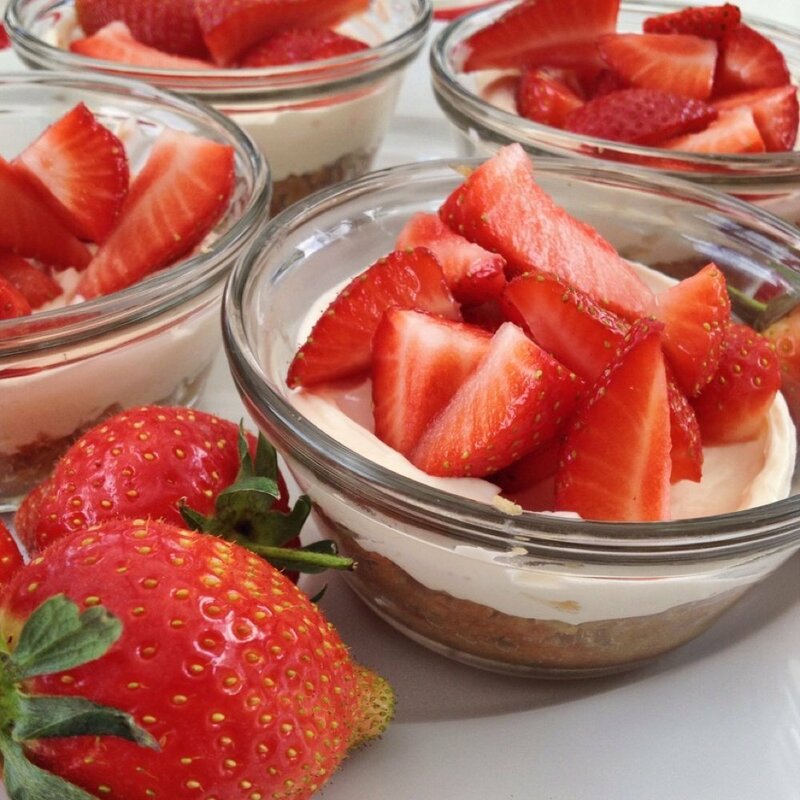 Sprinkle a handful of sliced strawberries on top of each mini cheesecake. Use raspberries, juicy peaches or autumnal blackberries instead of strawberries. Try vanilla cookies for the base instead of digestive biscuit crumbs. Perfect as a summery dessert following any meal. Wrap in clingfilm and take on picnics in a chiller box.